The world’s highest commercial bungee jump, diving with great white sharks, being inside a world cup stadium and most importantly enhancing the lives of disadvantaged township kids. My bucket list? Nope. 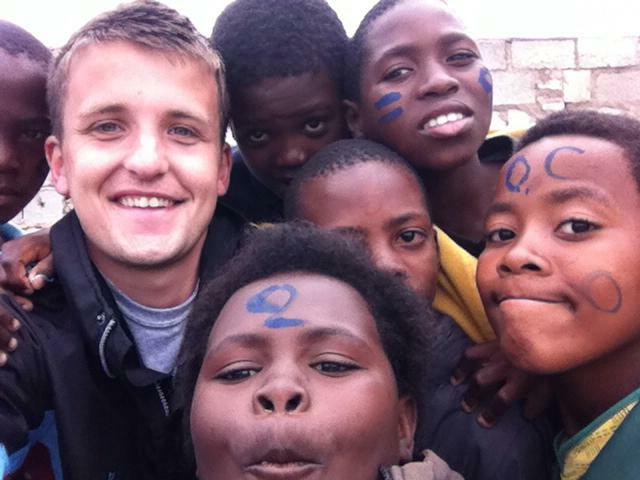 These are just a few of the things I was able to do during my recent volunteering trip to South Africa. A typical day for me usually started around 7.00am as I would often be heading off to teach. That early start meant I got first choice of sandwich filling and fruit which was a welcome luxury. Teaching in township Port Elizabeth is a little different to back here in the UK. Your skills of improvisation are very much put to the test as you can often find yourself alone with another volunteer facing 40 eager to learn kids. I loved this experience. Sports’ coaching was slightly different for a number of reasons. You didn’t have to get up quite so early, you’d typically visit three schools a day and you would be mobbed by screaming kids. A lot. This was an amazing part of our day when we could see so clearly just how much these kids valued our input even if we didn’t quite realise it. It was the enthusiasm written all over their faces that motivated us each and every day. As good as the coaching and teaching were we found ourselves with weekends free and South Africa to explore. From safaris to sharks to bungees to rugby matches to Jeffrey’s Bay we really did make the most of our free time. But why should you go? I can only speak for myself but those seven weeks changed my life. The faces of those kids and their eagerness to learn anything they can really helped me appreciate just how fortunate I really am. So whether you love sport, kids, travelling, meeting new people, or just doing some crazy things in Africa this would be the perfect opportunity for you. So what are you waiting for?